One item that should be in every closet is the white shirt/ blouse. It never goes out of style, fact which is proven by its long history. How many garments can pride themselves with having their first appearance in the Nomad period, around the XI century as an utilitarian garment? Since more then 200 years it has defined status, wealth and fashion norms. The collar was a symbol of status, not everybody could afford to own one, as it had to be washed frequently; “white collar” men having more influential jobs, and it also prevented a downward gaze, through its stiff high-standing form. 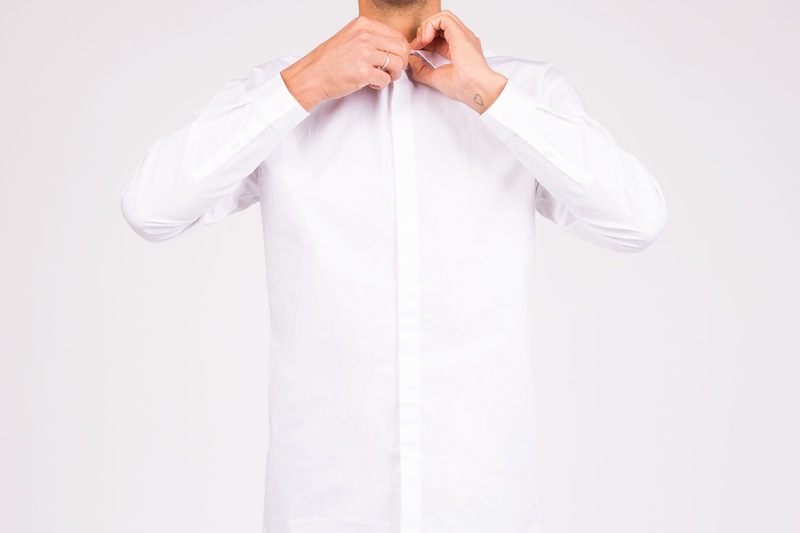 At the end of the 19th century the white shirt became more affordable and this allowed more people to wear it. Thomas J. Watson, the founding father of IBM, insisted that his employees wore white shirts to the office. This is how the ‘blue collar’ and ‘white collar’ influence started. Everybody should own at least one as it goes with everything: suit, jeans, chino etc. , matches every color, every season and can be worn at almost every occasion. In a multitude of trends that are appearing every season, with fast-fashion offering ideas every month, the white shirt/blouse remains a constant. Pair it with a suit and tie, or a bow tie for a more conservative and classic look. Or with jeans, or chinos for a more relaxed look. Women always have the option to wear it with a black skirt and heels, or with a suit. For more individuality wrap it, tie it, wear it with a choker or a colorful necklace, or chandelier earrings. One thing is sure: the are so many options when constructing an outfit around the white/shirt blouse. Always be creative!